Bank of Baroda home loan interest rates are in the range of 8.65% to 8.75%, with special discounted rates for specific category of borrowers such as ladies borrowers for whom the bank offers the lowest interest rate of 8.65%. Type of loan opted for: Bank of Baroda also offers differential rates for women borrowers and also under their fixed and floating rate schemes. The rate of interest may be higher or lower under their special or popular loan product offers. Existing bank customers: Bank of Baroda offers one of the lowest home loan rates to its existing bank account customers in view of their past relationship with the bank. Processing Fee - Bank of Baroda applies 0.50% processing charges to account for its expenses incurred for conducting a credit appraisal and completing the lending process. Technical and Legal Charges - Bank of Baroda also charges technical and legal charges which are explained to the customer during the loan process. Once you go through the loan application process, you will need to pay these charges based on Bank of Baroda rules. Prepayment Charges: If you decide to foreclose or transfer your housing loan to another bank, you need to submit an application for the same to Bank of Baroda. As per RBI rules, banks are not allowed to charge prepayment penalty on floating rate home loans. Hence, you can prepay your home loan with Bank of Baroda at Nil charges. If you want to get a housing loan from Bank of Baroda, the process to get the loan is fairly easy. 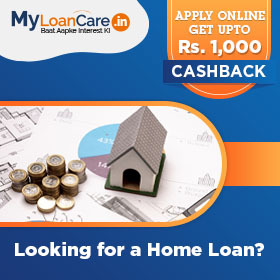 All you need to do is to apply for a home loan at MyLoanCare. We are a channel partner of all top banks in India including HDFC, SBI, Axis Bank, Citibank. Your loan application will be processed online and Bank of Baroda’s representatives will get in touch to begin the process of getting a home loan. You will also be assisted by MyLoanCare’s personal housing loan advisor to ensure that all the lending process is smooth, quick and you get the best house loan from Bank of Baroda. 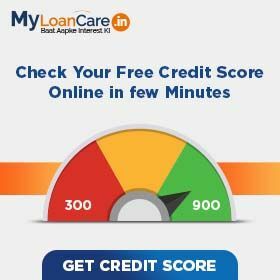 You can also do a comparison of HDFC Bank Bank of Baroda’s Home Loan Interest rates and other charges using MyLoanCare comparison tool. Once you apply online, you can check the real time status of your home loan application in your customer account section of MyLoanCare. Special loan under which the bank links a savings bank account to the existing (BoB) home loan account. It gives flexibility to the loan applicant to deposit or withdraw the surplus cash from this account. Any credit balance in the account, at the end of the day will be directly debited from the applicants savings account and simultaneously credited in the applicants home loan account. Customers who want to take the benefit of dual accounts that is home loan account linked with a savings account and wants to save interest paid on home loan over the long run. Pre approved loan that offers a 'in principle' approval from BoB even before the property is purchased by the applicant. The in-principle approval is valid for 4 months from the date of issue. A pre approved home loan for the borrower before the finalization of a property chosen by him. Attractive and affordable interest rate. Easy and faster loan processing. Salaried, self employed individuals with a monthly income of Rs. 20,000 per month. Customers who want to take loan before the finalization of the property chosen by them before the finalization of a property chosen by the borrower without wasting their time for getting the loan sanctioned. Loan exclusively for home loan borrowers for the purpose of funding life insurance premium for group credit life insurance. Loans is extended by the bank for the purpose of funding life insurance premium for Group credit life insurance. This loan is sanctioned along with Baroda home loans. Existing home loan borrowers who want to avail the benefit of this loan has to avail the loan separately. Customers who want to take loan for the purpose of funding life insurance premium for group credit life insurance. Total Monthly Cost – From Rs. 780 for a 30 years Rs. 1 Lakh loan at 8.65% (lowest rate, longest time period) to Rs. 2,064 for a 5 years Rs. 1 Lakh loan at 8.75% (highest rate, shortest time period). This is inclusive of principal repayment. Bank of Baroda’s terms and conditions as per loan agreement applicable. Short term loans/ pay day loans not available; minimum loan tenure: 5 years. Rate of interest depends upon income, job stability, loan amount, CIBIL score, credit profile, existing obligations, verification and other factors. Credit at sole discretion of Bank of Baroda. What is Bank of Baroda home loan procedure? You can apply for a Bank of Baroda home loan by contacting the bank directly or by applying through online marketplaces like myloancare.in. Availing a loan through an online market place improves the chances of getting best loan rates, low processing fees and special offers in the form of cash backs. Once you approach the bank, they will collect your documents and initiate the loan process which includes checking your CIBIL score, property valuation, technical and legal checks on property, eligibility calculation. The bank will give a decision on your loan based on the evaluation results. You can also check your Bank of Baroda home loan status by logging in your customer account with MyLoanCare. Why should I opt for balance transfer to Bank of Baroda? Bank of Baroda offers competitive home loan rates with best EMI of Rs. 780 per lakh availed at low interest rate of 8.65% for a maximum tenure of 30 years. If you are paying an EMI more than Rs. 780 per lakh, you should consider option for a loan transfer to Bank of Baroda from your existing bank. What is the maximum loan tenure I can opt under Bank of Baroda house loan? Bank of Baroda offers you a longer tenure of 30 years to repay your loan with a benefit of paying less EMI per month. Do I get tax benefit on home loan from Bank of Baroda? Can I transfer my house loan from another bank to Bank of Baroda? Yes, Bank gives you the facility to transfer your existing loan with a hassle free process. Availing loan transfer to Bank of Baroda can allow you to save interest, pay lower EMIs and save money. The benchmark applicable for home loan in Bank of Baroda is 1 Year MCLR. What is the effect of part prepayments on Bank of Baroda housing loan EMI ? How to increase my eligibility on Bank of Baroda housing loan? How will interest rate on Bank of Baroda housing loan change in future? Floating rate on Bank of Baroda housing loan is linked to its 1 Year MCLR Rate, which is currently at 8.65%. When Bank offers a home loan at 8.65%, it applies a premium of 0% to its MCLR Rate to arrive at this home loan rate. Bank of Baroda (BoB) has become the third largest bank after SBI and HDFC Bank. It is due to its merger with two other lenders Dena Bank and Vijaya Bank with effect from April 1, 2019. The Reserve Bank of India had also announced that the branches of Dena Bank and Vijaya Bank would function as BoB outlets from April following the amalgamation. All three banks are supposed to work together to cater to the growing demand of the customers. The lender also has plans to achieve a significant growth across its retail loans including home loans and personal loans this year. Bank of Baroda (BoB) has cut its benchmark lending rate by 0.10%, making its retail loans including home loans, car loans and personal loans cheaper than before. Lending rates across all tenors less than one year have been decreased by 10 basis points. The new rates are effective from 7 March 2019. Public sector lender, Bank of Baroda said that they are planning to build a digital interface for faster and more efficient disbursement of retail loans, mostly personal loans, auto loans and home loans. With the development of different digital initiatives, the bank is trying to further improve its services and provide more convenience to its customers to apply for hassle-free loans by deploying technological solutions. Bank of Baroda, the second largest state-run lender by market capitalisation of the country has announced the Q2 result. It has reported an increase of 20% on September quarter profit at Rs 425 crores compared to Rs 355 crores in the previous year, Consolidated net profit increased by 39% year on year at Rs 686 crores. The results come as BOB prepares to merge with smaller rivals Dena and Vijaya Bank, as the government attempts to tackle a pile of bad loans plaguing the banking sector and revive credit growth.